Pre-sliced. 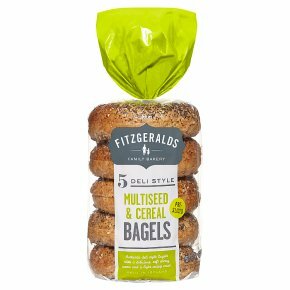 Authentic deli style bagels with a delicious, soft chewy centre and a light crispy crust. Delicious toasted. Suitable for vegetarians and vegans. How to Prepare For best results, toast on a medium heat. Warning: Bag closure may present choking hazard.